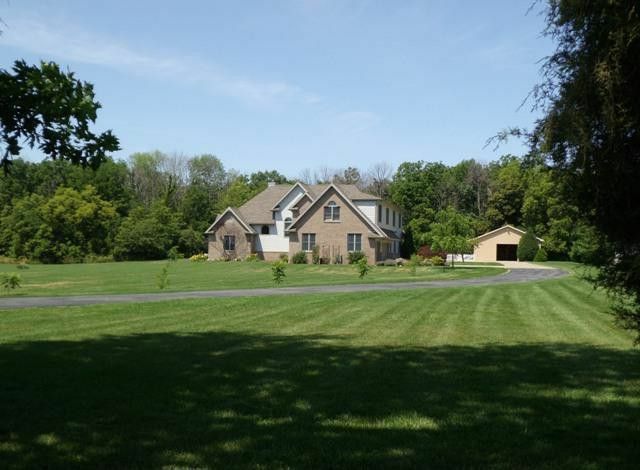 Beautiful Catawba 5 Acres Estates! THis 3800+ SF home has so many great newer amenities! Grand complete new kitchen with breakfast area boasts granite countertops with ceramic tile backsplash, tile floor and under-counter lighting. Hardwood Flooring in the foyer, 1/2 bath, living room and dining room too! Wonderful 30 X 50 Pole Building with insulated loft/Front and Rear doors. Wonderful covered Patio off outbuilding great for outdoor enjoyment. There is also a large deck off the back of the home. Enclosed fenced area off back of home to outbuilding area also. Large wooded area at back of lot! See notes from seller for additional details. New Furnace 2016/New A/C 2017 and New Washer Dryer 2017.